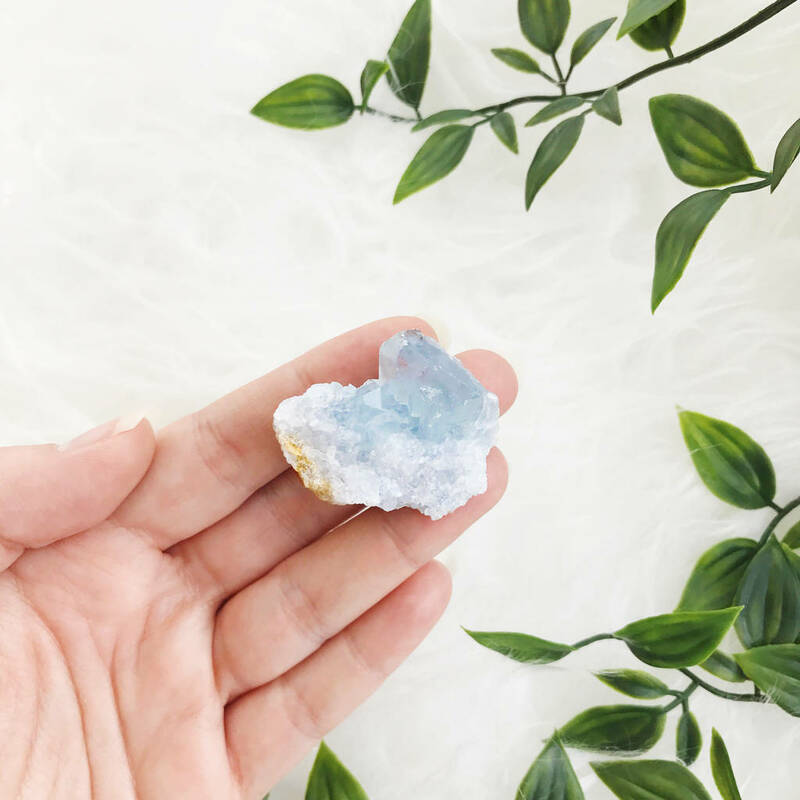 A beautiful wellbeing gemstone which makes a lovely gift. 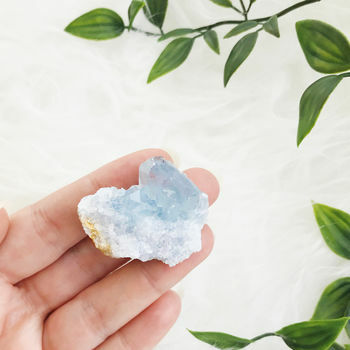 Soft baby blue, twinkly and like its name would suggest, this is a celestial stone with connections to the sky and the stars, so is thought to promote peaceful and calming vibes. The name itself is derived from the Latin meaning ‘of the sky’. This is an ideal stone to keep by your bedside, for restful sleep, a connection with the big beyond and a brighter start to the day. 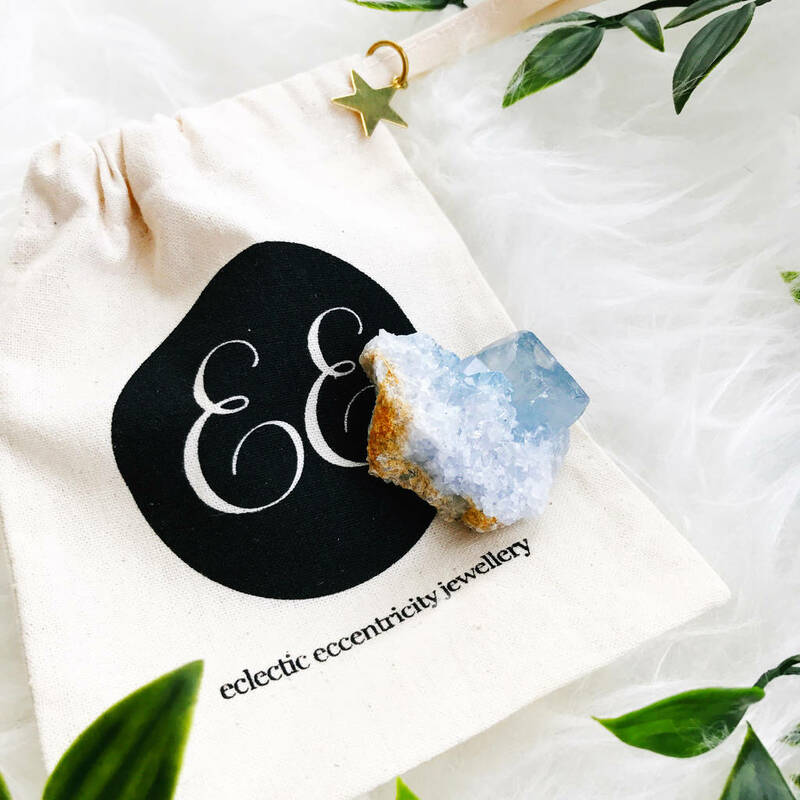 Each cluster will arrive in its own Eclectic Eccentricity cotton bag, complete with details of the metaphysical properties of Celestite., finished with a brass star which can be personalised with any initial. Option to personalise brass star on bag with one initial. 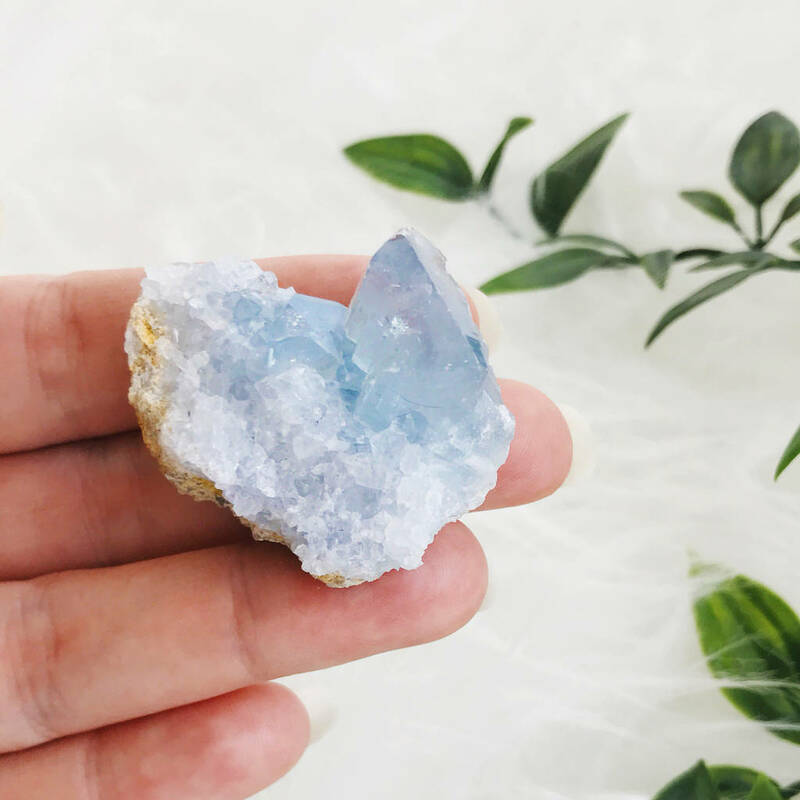 Each Celestite is entirely unique and will measure approximately 1.5" - 2" long (30mm - 50mm).